As I have said previously, the Gospel is the highest teaching of repentance and remission of sins on account of Christ. Therefore, concerning justification, I say predominantly this: The Gospel wars with sin and teaches that we need Christ to be our Mediator, for it is on account of Christ we are granted remission of sins and reconciliation. If such is the case, it follows unavoidably: one cannot speak of justification without also speaking of remission of sins. Sadly, there are some (buffoons, I say!) who, with many words, have explained justification, all while making no mention of the remission of sins—as if it had no bearing on the matter! And yet these same people believe that God moves the hearts of infants and sanctifies them when they are brought to Him in baptism! But we digress. Here we are speaking of adults, who, according to the teaching of the Gospel, are those who must believe in accordance with the express will of God. That is, their terrified mind must rest in the knowledge that sins are forgiven freely, through mercy and grace, on account of Christ. And they must similarly know that this free forgiveness is not given on account of the dignity, sincerity or strength of their contrition, or their love, or any other of their works. In this way, God changes our minds by faith and gives reconciliation and the forgiveness of sins. 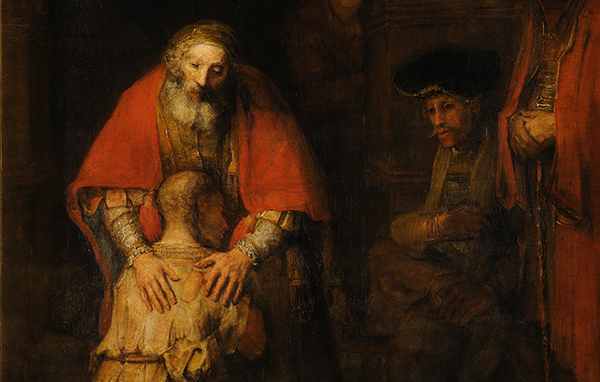 If this is not the case—and the judgment finally is that it is sufficient that we have remission of sins as a result of our contrition or our love—our minds would be driven to despair, never knowing if we have enough contrition or love. Therefore, that we may have a sure and firm consolation, free remission of sins does not depend on us at all, but solely on the mercy and grace promised, on account of Christ. These concepts would be nothing absurd, difficult, or complicated if the Scriptures were regularly and sufficiently engaged in the churches. If so, it would be well known that attributing any merit to our works serves only to make the remission of sins uncertain. Even better, the people of our churches would be comforted in the fact that remission of sins is a gift—not dependent on our works—and therefore is completely certain. So, in that spirit of engagement, let us look more deeply at the word “justification”, which we contend points to the cause. We say justification signifies remission of sins and reconciliation (or acceptance) of the person to eternal life. Is this what the Scriptures mean? To start, note that for the Jews of Jesus’ time, justification was a forensic word, “forensic” meaning having to do with judgments in courts of law. So, if I said, “Scipio has been justified from the accusations of the tribunals and the Roman people,” that would indicate that he has been pronounced righteous or absolved. Therefore, when Paul uses the words “to be justified,” we take these to mean, according to the 1st century Jewish understanding, reconciliation and the remission of sins (i.e., absolution). Furthermore, when God remits sins, He simultaneously gives the Holy Spirit, who creates new virtues in the faithful. So we freely believe, teach and confess—and with a clear voice—that it is not only faith that should exist in the faithful, but also more fruit of the Spirit. But that’s another topic, of which we shall speak later. For now, it seems clear that this forensic understanding of justification means remission of sins is ours neither because of our decision nor because of our dignity or merit. Rather, it is a gracious pronouncement, apprehended through faith. Although the arguments from works are common and natural, faith is contrasted in that it always signifies trust in the mercy of God, promised on account of Christ. We certainly believe in this article as the remission of sins. Furthermore, the “common and natural” opinion is reprehensible, because it delivers nothing but doubt about whether we have remission of sins. Faith, therefore, is intimately connected to God’s mercy: indeed, God’s mercy is the object of faith. This is why it is said that we are justified by faith. So that the figure of speech may be rightly understood, let me say it this way: justification is by the mercy of God promised on account of Christ, but this mercy is grabbed hold of by faith. I encourage you to read again Romans chapter 3, where Paul says that man is reconciled not on account of the dignity or qualities of their works, but by trust in an alien righteousness. The Oxford Classical Dictionary, eds. M. Cary, et al (Oxford: Clarendon Press, 1949), 815. “Scipio Africanus Major, Publius Cornelius (236–184 B.C. ), son of Publius. In 199 Scipio was elected censor and became princepes senatus. A keen supporter of a philhellinic policy, he prudently but vainly urged in his second consulship (194) that Greece should not be completely evacuated lest Antiochus of Syria should invade it. In 193 he was sent to Carthage to investigate a frontier dispute between Carthage and Masinissa. When his brother Lucius was given command against Antiochus (190), Africanus, who could not constitutionally yet be reelected consul, was ‘associated’ with the command. After crossing to Asia, where he received back from Antiochus his captured son Lucius, Scipio fell ill and took no active part in his brother’s victory at Magnesia (189). Meanwhile in Rome, political attacks, led by Cato, were launched on Scipios, culminating in the ‘Trials of the Scipios,’ on which the ancient evidence is conflicting. Africanus intervened when Lucius was accused in 187; whether he himself was formally accused either in 187 or 184 is doubtful. But his influence was undermined and he withdrew embittered and ill to Liternum where he died soon afterwards (184).” See also: W. Schur, Scipio Africanus und die Begründung der römischen Weltherrschaft (1927); H. H. Scullard, Scipio Africanus in the Second Punic War (1930). 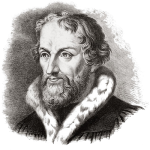 For Melanchthon, saving faith (fides salvifica or fides propria) is a true personal faith made of three parts: (1) notitia or knowledge of the historical Christ and His saving person and work; (2) assensus, assent to the intellectual truth of that knowledge; and (3) fiducia, or trust; that is, a faithful confidence which, by an act of the changed will, appropriates savingly the mercy of God shown on those who trust in Him on account of Christ. Saving faith cannot, therefore, be merely historical or intellectual—it is volitional.